A UN program expands to offer practical wisdom for all manner of natural disasters in developing Asian nations. Training in Bangladesh comes just after a powerful earthquakes disrupts nearby Nepal. DHAKA, BANGLADESH — Students like Eidia Zaman grew up knowing about the threat of cyclones and floods to her coastal country. Now a pilot program supported by the Bangladesh government and the UN is helping her learn some practical responses should an earthquake hit the Dhanmondi Government Girls’ School, where she spends nearly half her time. If the earth starts shaking, Ms. Zaman explains, she will cover her head with a book or backpack, and not panic and run during the evacuation. “We must remove nervousness,” she says. On a hot spring day – not long after a massive earthquake rocked nearby Nepal – students at the school in white and blue uniforms pore over exams under the watchful eye of English teacher Umma Khan. She points to leafy trees outside and says one will be cut down since it could crash through a window and wreak havoc. Ms. Khan, like 2,800 other teachers in Bangladesh, recently went through a three-day Comprehensive Disaster Management Program (CDMP). 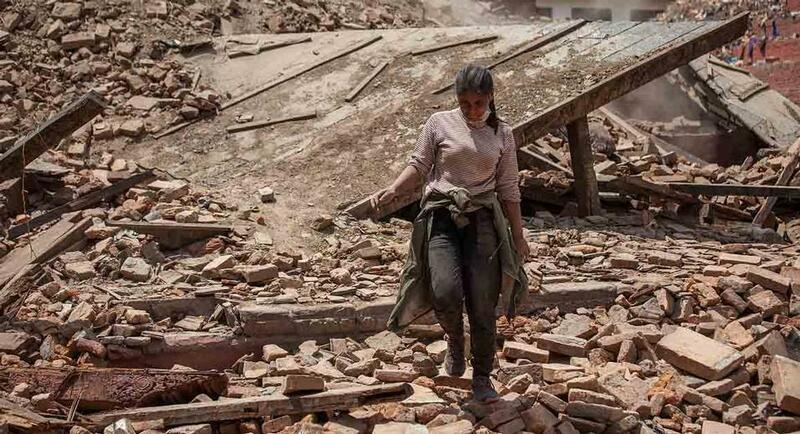 It offered a litany of basics for response to earthquakes like the one in Kathmandu: How to protect oneself from falling objects and furniture that could topple; why to stay away from glass objects; how to evacuate in orderly fashion; and not forgetting to turn off gas burners that can lead quickly to fires. Around 4,600 teachers in Bangladesh are expected to take the training and then relay the knowledge to administrators, students, parents and fellow teachers.A densely populated country Bangladesh may be infamous for powerful cyclones and floods. But it’s also earthquake prone. In 1897, a quake of 8.7 magnitude struck the northeast. Another major quake today would be devastating in one of the world’s most densely populated countries with 160 million people, many living in poorly constructed urban buildings. Approximately 72,000 buildings would collapse if an earthquake of 7.5 magnitude struck Dhaka, according to a 2004 CDMP study. However, it says a few simple drills and simple measures learned by ordinary people could save many lives. Earthquake preparedness for students and teachers is important given that school children spend half their waking hours in school. In earthquakes in Pakistan in 2005 and China’s Sichuan Province in 2008, some 19,000 and 10,000 children respectively were killed when thousands of schools collapsed.